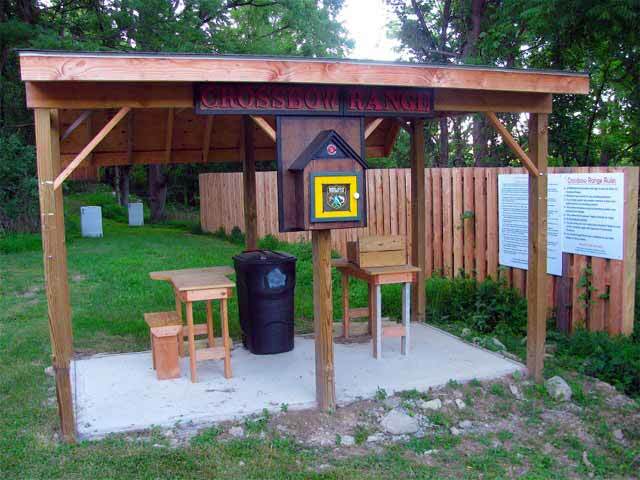 The crossbow range features a covered area with two benches for sighting in and targets that can be placed at a variety of distances out to 50 yards. 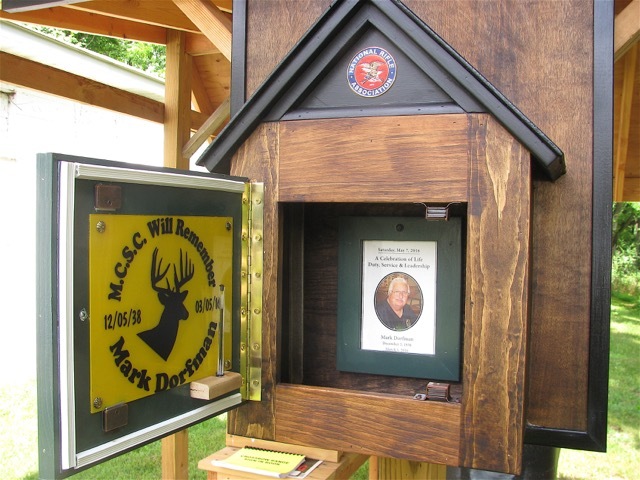 Member Alex Bruzzo made the sign-in box and all of the signage inside the box and the overhead signage. You have to admit he did an incredible job and a special shout out to Alex from all of us for doing such an outstanding job and tribute to Mark Dorfman. 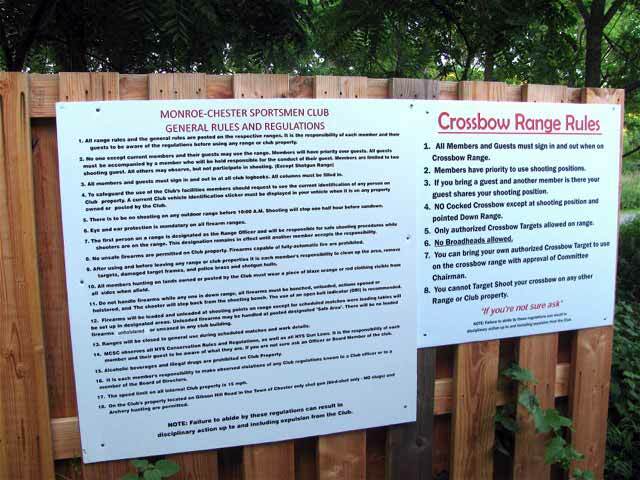 All Members and Guests must sign in and out when on Crossbow Range. Members have priority to use shooting positions. If you bring a guest and another member is there your guest shares your shooting position. NO Cocked Crossbow except at shooting position and pointed Down Range. Only authorized Crossbow Targets allowed on range. 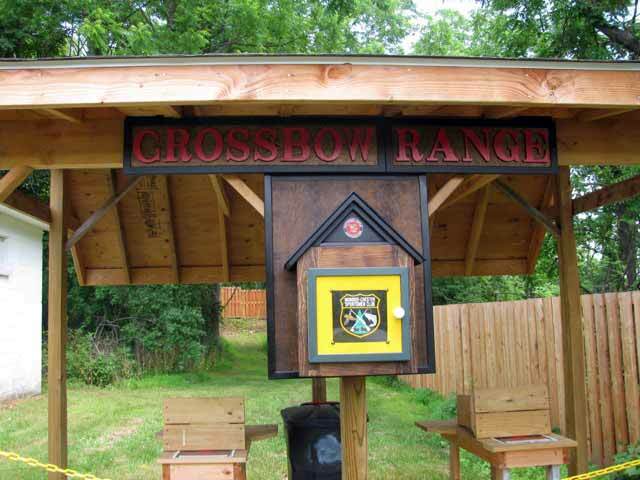 You can bring your own authorized Crossbow Target to use on the crossbow range with approval of Committee Chairman. 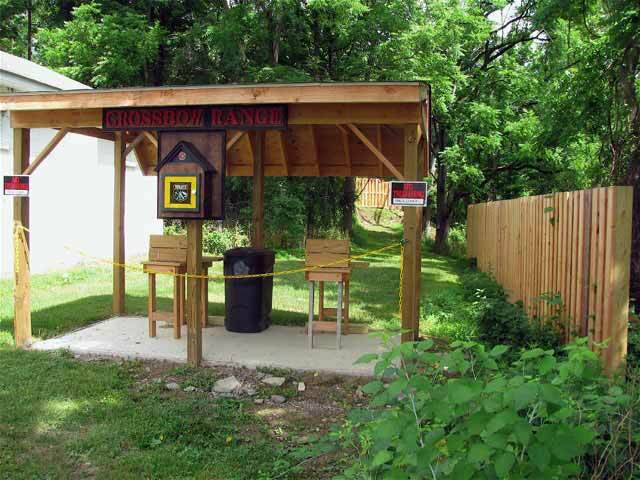 You cannot Target Shoot your crossbow on any other Range or Club property.